Last update noted to expect higher prices and listed some potential resisistance zones, among them "2816ish." Currently, that's where the market has stalled. It's possible that will be it for this (leg of?) 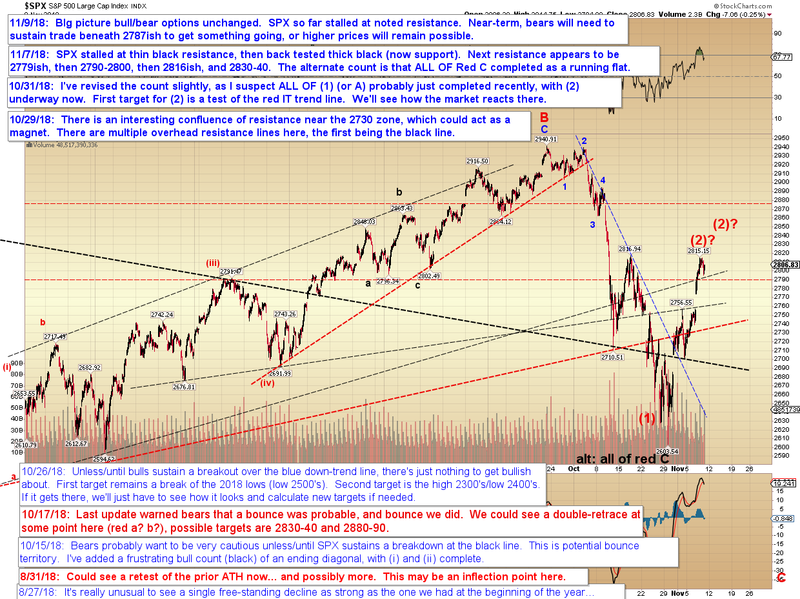 the rally, but as yet there are not enough waves off the high to make that as a definitive call. Bulls could still pull out a double zigzag and hold the decline near the 2780-85 (ish) zone. 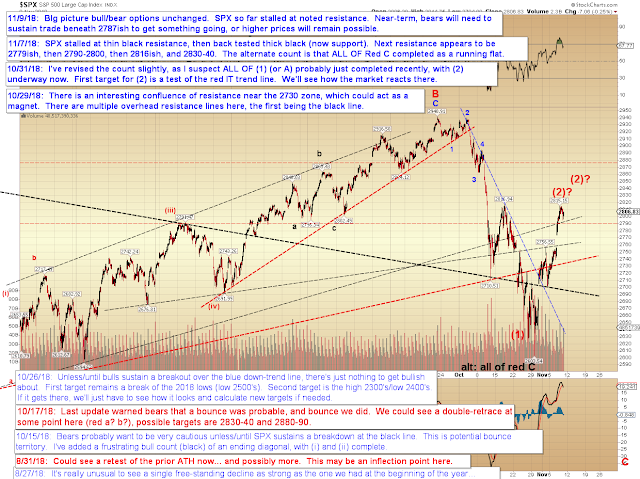 The most bearish count would suggest a micro bear nest, but sometimes the first one of these is a fake out. Nevertheless, it's something to watch, because if it's a micro bear nest off this week's high, things are about to get ugly fast. Today will probably be a pivotal session to determine whether we're dealing with a bullish double zigzag or bearish nest. In conclusion, no material change overall, but today could be pivotal for at least the near term, if not the bigger picture. Trade safe.